My very good friend, Becca Manning from Blazing Needles, acquired two complimentary tickets for the Stitching, Sewing and Hobby craft show at the ExCel centre in London. We felt like excited school children when we met up (we live virtually next door) and walked to the station. We had our wish lists in our head but we were mainly going in search of inspiration, to make connections with like-minded people, and for the opportunity to touch and feel the wide range of fabrics and yarns on offer. This was particularly important as we love to work with natural materials, and we rely on internet shops living in a village with no haberdashery! 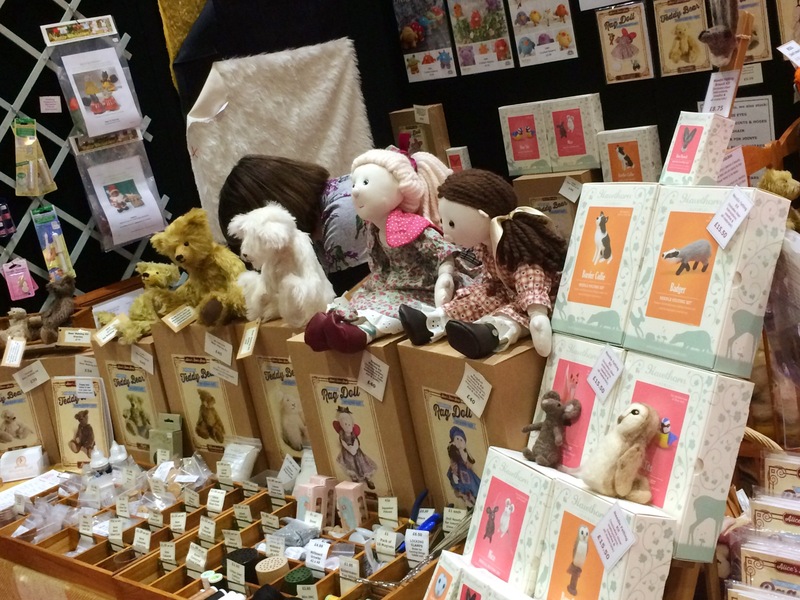 Here are some highlights from the show: Becky Lewis from Amazing craft had an eyecatching stall with teddy and doll kits on offer. We had a lovely chat with her and were tempted by the squeakers and growlers. I purchased a pair of locking clamps – perfect to turn fiddly faerie ears the right way round. If you are a toy maker yourself check out her website and Facebook page. We found out about a new not-for-profit organisation called the UK Hand Knitting Association. A nationwide network of volunteers are working hard to pass on their skills and encourage newcomers. They are trying to build up a map of all the local knitting/crochet and craft groups in the UK so please visit their website if you want to find out more! 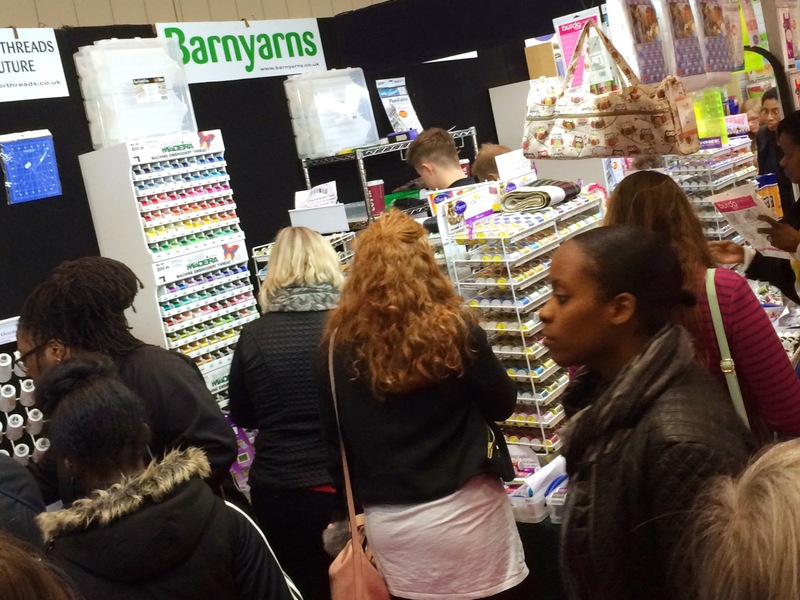 We lost ourselves in the Barnyards stall – so many gadgets and accessories for knitting and sewing. We spent ages looking… whilst also realising how many tools we actually already had! I did purchase two smaller crochet hooks, for making doll wigs. If you are looking for something particular for your craft I suggest you try them first. 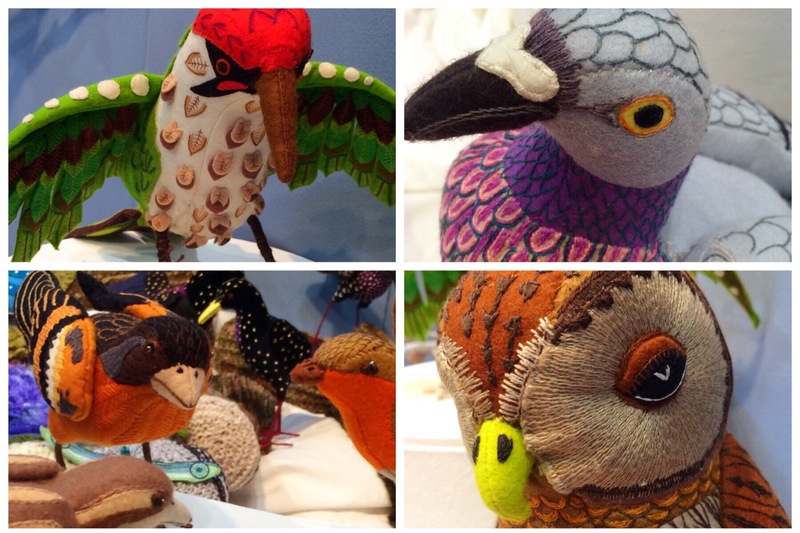 There were various exhibits, but the one made us stop and look for a while was the beautiful handmade birds on the National Needlework Archive (NNA). They were all made by Carol Checketts in the 1960s and 1970s and she has given them to the NNA. Aren’t they amazing? 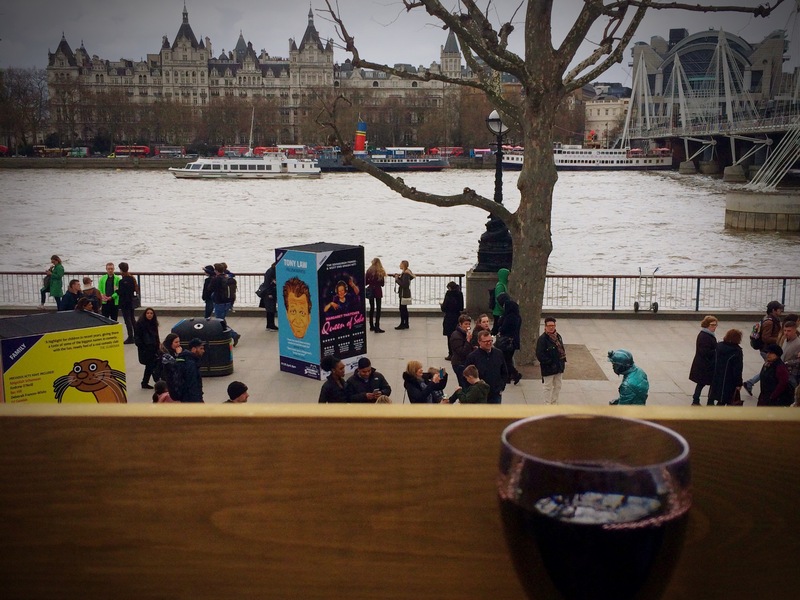 We really enjoyed our day, we finished with a glass of wine watching the river flow by at Southbank before catching the train home and returning to motherhood. 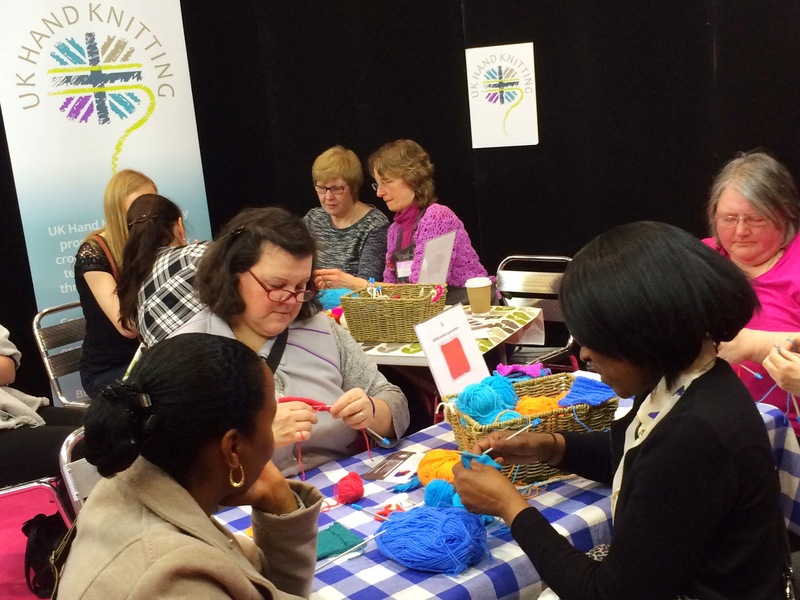 Are you interested in going along to a stitching show? Its a great day out with a like-minded friend. Visit ICHF on their Facebook page to find out more. Previous So, what is a ‘Waldorf’ doll?